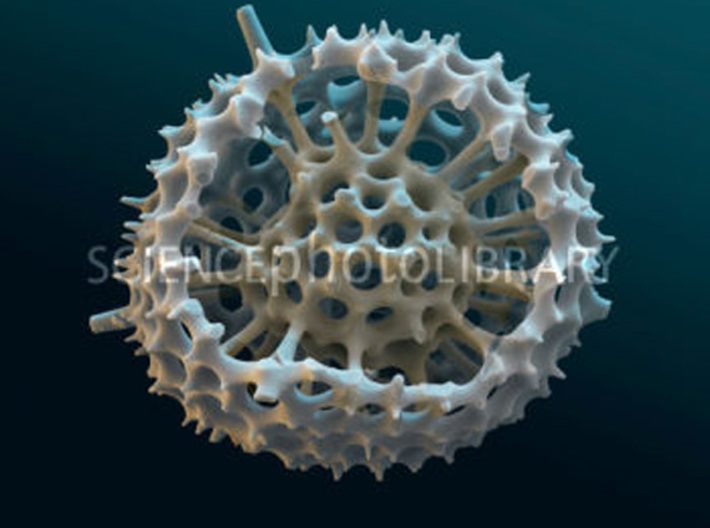 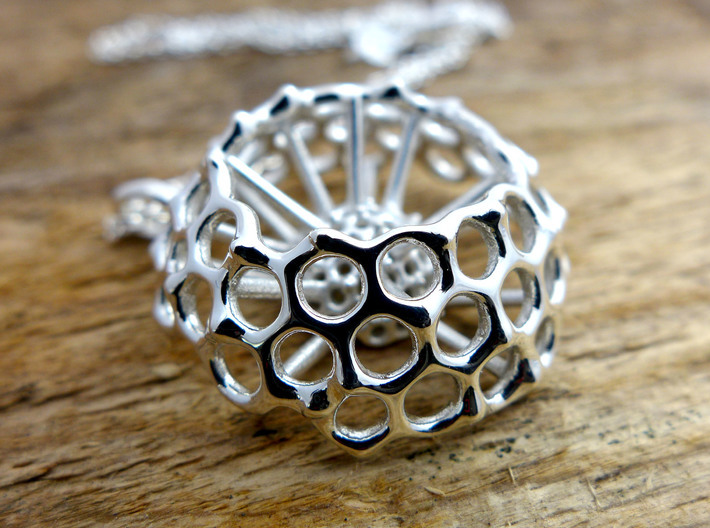 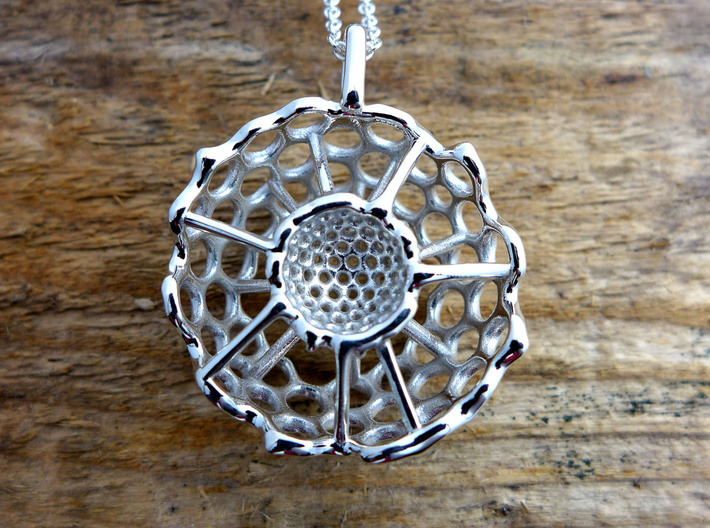 Spumellaria is a type of Radiolaria, an aquatic protozoan life form that forms a fantastically intricate silica-containing shell. 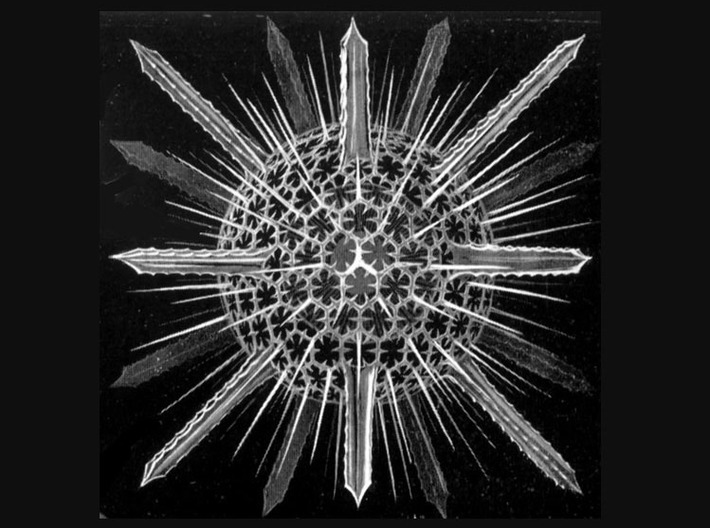 The sea floor is composed of their microscopic fossilized skeletons. 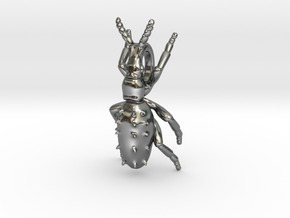 Ontogenie Design allows you to view and wear the shells of these amazing creatures, in three dimensions, without the aid of a microscope. 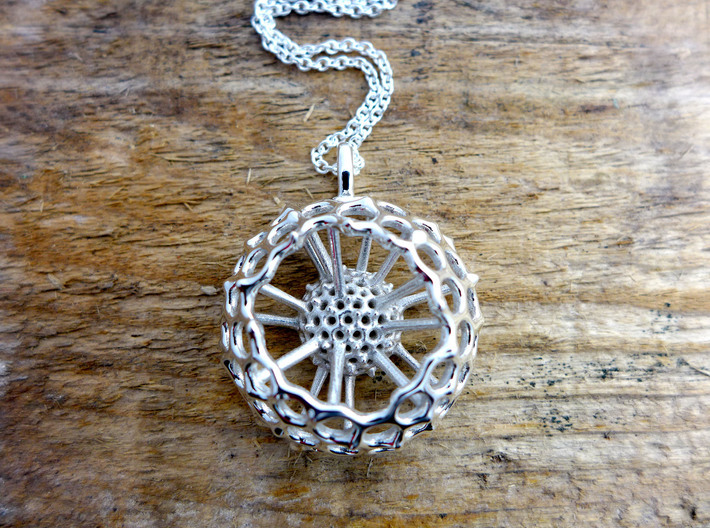 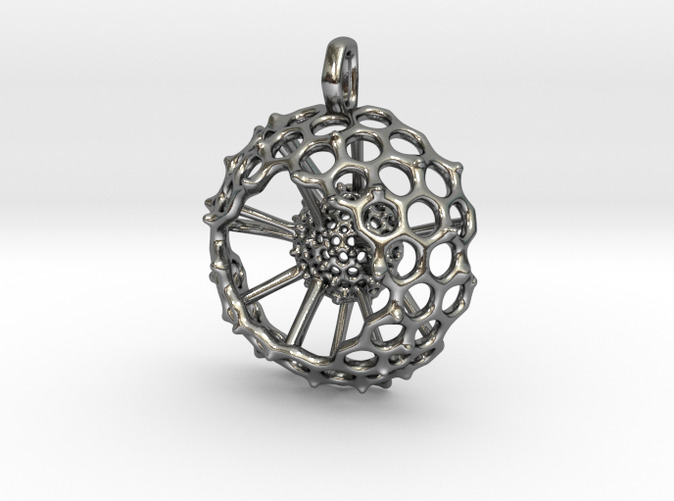 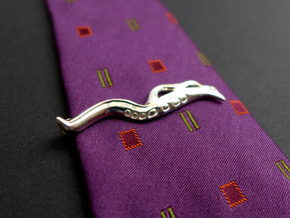 This version of the pendant lacks spines. 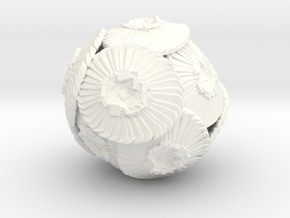 These delicate spines, while useful for the buoyancy of the plankton during its lifetime, often break off when the shell is deposited in the sea bed.